One of the glories of summer’s end is Island corn, a rare treat available only during an always-too-brief season. 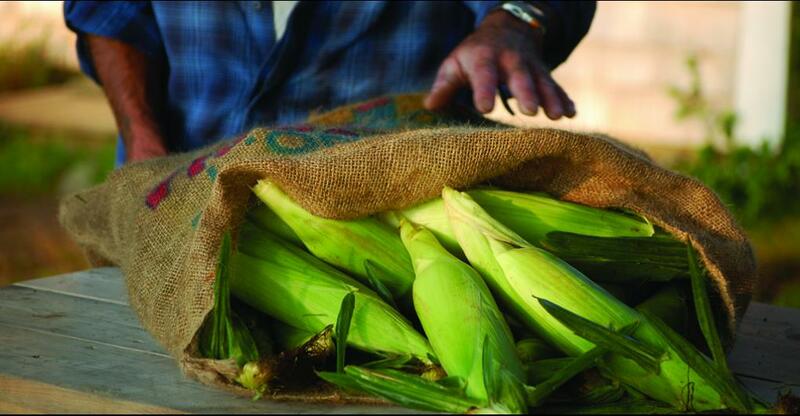 Freshly picked corn offers a taste that simply can’t be duplicated by its supermarket counterpart. 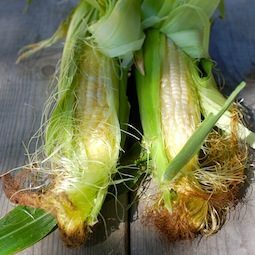 Sitting on your plate within hours of making the transition from stalk to table—with a brief interlude of boiling, steaming or husk-on roasting—corn is as fast a food as nature offers. But while the profusion of corn lasts, I like to eat as much of it as possible. Enter corn chowder — summer’s ultimate comfort food. The basic recipe couldn’t be simpler: Strip corn from its cob; sauté diced onion in butter, then add the corn kernels with enough liquid (made by boiling the stripped cobs in a veggie broth for about an hour) to cover. Simmer for about 20 minutes. Remove about a quarter of the kernels from the pot. Set these aside. Then blend what’s remaining in the pot to a smooth or nearly smooth consistency. Add milk, cream or half and half to taste. Add the reserved kernels back into the pot. If you’d like a hardier chowder, now’s the time to add some diced, boiled potatoes. Salt and pepper to taste. Want something a little less basic? Chop a handful of fresh basil until it is very fine, bordering on pasty. Soak this in a neutral oil overnight, then strain through a fine mesh sieve. Dribble some of the resulting deep green oil, infused with the basil’s herb-y flavor, onto your chowder. Blend your favorite red chili pepper (a single canned chipotle is my choice) with a little water or oil to form a thick paste. Swirl a dot of the thick, adobe-red sauce into your chowder transforming it instantly from soothing to scintillating. A grilled tomato slice atop your chowder makes it taste like a bowl full of summertime. For a crunchy and peppery contrast to corn chowder’s lush sweetness, add a generous pinch of watercress, radish sprouts or micro-greens. Float a perfectly poached Katama oyster atop your chowder. The briny taste gives the chowder’s mellow edge focus and the two gentle textures together on your tongue are nothing short of awesome.